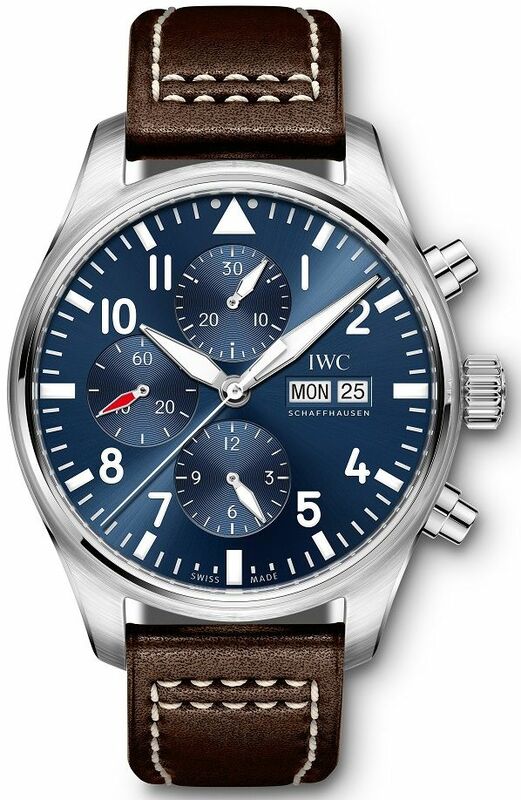 The IWC Pilot's Watch Chronograph Edition Le Petit Prince (IW377714) with a midnight blue dial has a case diameter of 43mm. 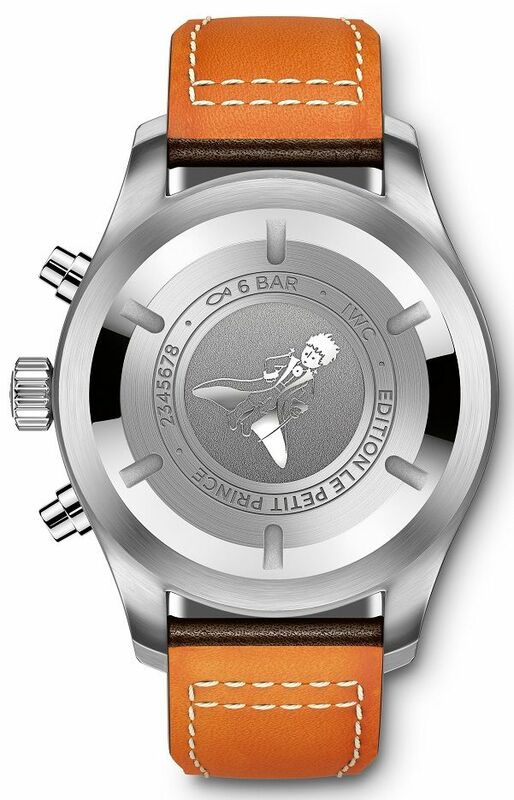 This special edition has an engraving of the little prince with his coat and sword on the case back. The watch has a soft-iron inner case for protection against magnetic fields, a chronograph movement, and a day-date display. This model is fitted on a brown calfskin strap.